Lisa Burzin teaches Vinyasa Flow Yoga with a pinch of Pilates and a lot of heart. Her lessons are restorative and fluent, suitable for all levels and always seasoned with ease and humor. Lisa teaches classes and private lessons in Berlin, where she lives with her family. 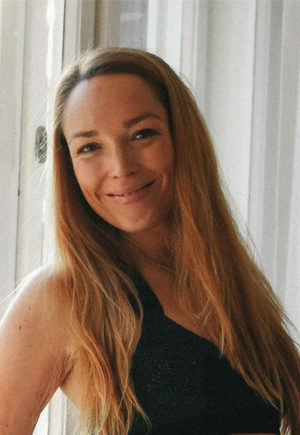 Since 2017 she has been organizing workshops and retreats in Berlin and Bad Gastein with Annette Söhnlein.